Adar Cohen, dismissed for promoting post-Zionist textbooks: I was the target of a well-orchestrated smear campaign. Adar Cohen, current superintendent of civics education in the Education Ministry who was informed on Sunday that he will not receive tenure, has sent a farewell letter to civics teachers in which he claimed to have been the target of a smear campaign. 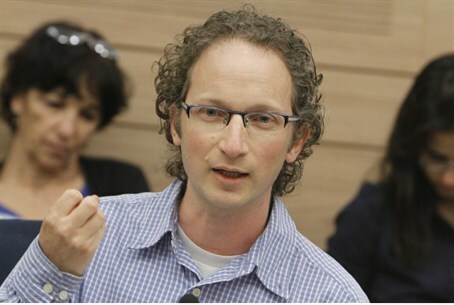 Education Ministry Director Dalit Shtauber told Cohen, who was still officially on trial period, that he has failed the trial and therefore will not receive tenure. The latest decision means he will have to leave the job. The decision to rethink Cohen's employment appears to have been influenced by an investigative report published in the Hebrew paper Makor Rishon and which said that Cohen is suspected of promoting "post-Zionist" textbooks into the Education Ministry syllabus and preventing the entry of textbooks that reflect accepted, traditional Zionist views. “Four years ago I decided to run for the position of head of civics after much deliberation,” Cohen wrote in the letter, the contents of which were published by Channel 2 News on Sunday night. “The choice of public service, despite the options in academia and teaching, seemed the right thing to do, as an act of Zionism and of commitment to the state and society in which I live. “We were not afraid to touch the sore, torn spots of Israeli society, and that is because the perception of our educational and pedagogical purpose was to nurse and contain, rather than divide and libel. That was the secret of our strength - the knowledge that whoever comes out of truth and confidence will be able to accommodate difficulties and doubts, even of those who are different than him. This is the secret charm of civics. Yisrael Hayom quoted passages from the textbook approved by Cohen that reflect the alleged "post-Zionist" approach. In one passage, the book says that there is a contradiction between Israel's definition as a Jewish state and its obligation to give equal rights to all of its citizens. The book also says that "The establishment of Israel in 1948 turned the Arabs in the territory of Palestine-Israel from a majority into a minority." It reportedly states elsewhere: "A relationship based on control could harm the freedom and equality of those who do not belong to the majority. This is especially true when the majority espouses a selective demographic policy, which entrenches its status over time." This passage is seen as critical of Israel's Law of Return. Cohen’s dismissal was a victory for nationalist-Zionist forces within Israel, who welcomed the decision.